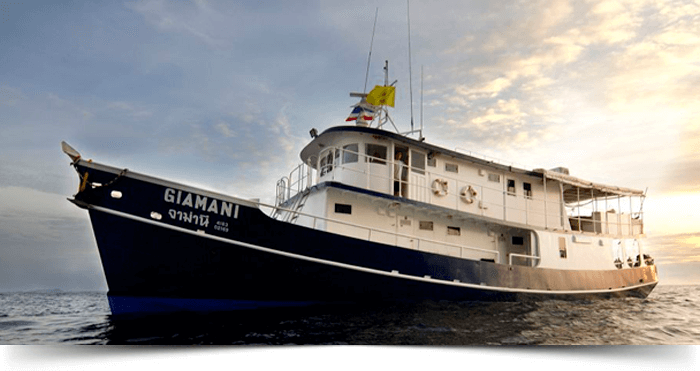 MV Giamani is well-designed and well-equipped liveaboard which was built in 1998 but newly refurbished in 2014. 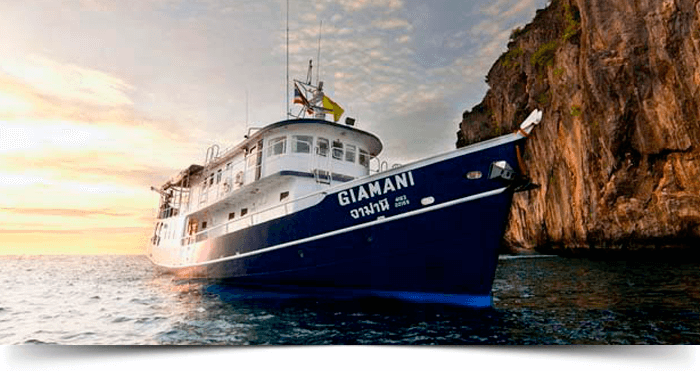 The IMO standards MV Giamani which is a perfect vessel for long diving in the Andaman Sea has enough space to accommodate 10 guests at a time which. 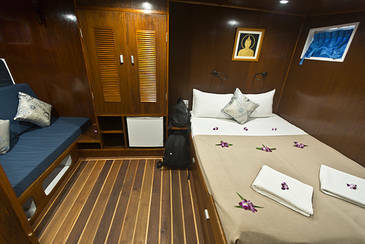 MV Giamani offers one Master and four Deluxe Cabins including private bathroom. 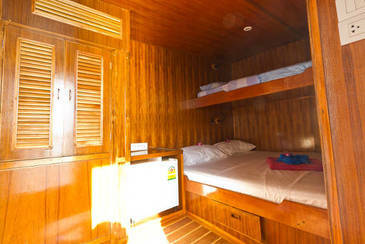 Master cabin is located on the upper deck decorated with double bed and an additional sofa bed for twin sharing. On the other hand, deluxe cabins also have a double bed and an extra bed for twin sharing. Every cabin is equipped with a mini fridge. 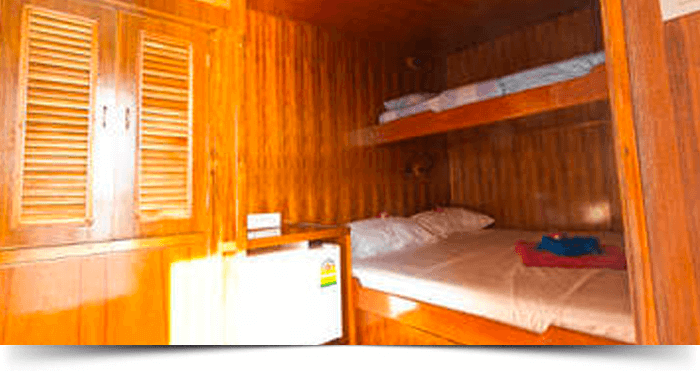 Each cabin is air-conditioned with hot & cold water shower facilities. 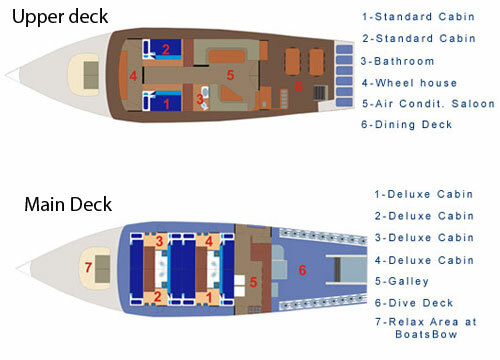 On the upper deck behind the Master cabin, enough space is available for relaxation. 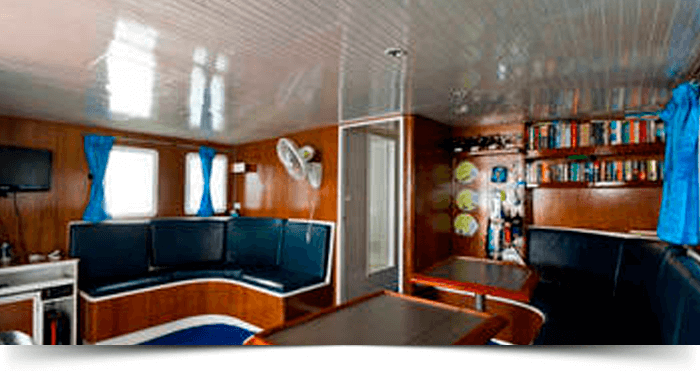 Library, movie room, and air-conditioned saloon also exist on this liveaboard. A large sundeck is available to avoid getting sunburnt and enjoy the amazing view of the Andama sea from the top. Reading the book, taking a nap, enjoying a view or chatting with your mates in cushion area would be enjoyable. Receive your meals in buffet serving area.Ice making machine is within your reach to enjoy on board chilled drink or ice cream. 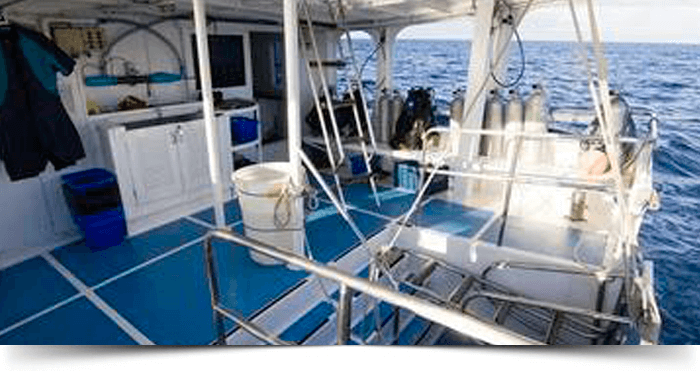 Well-arranged diving gears are available on this spacious boat. After each dive, you can clean your gadgets and gears by using a big rinse tank solution. For professional photographer, a camera table is also available on this boat for photography.